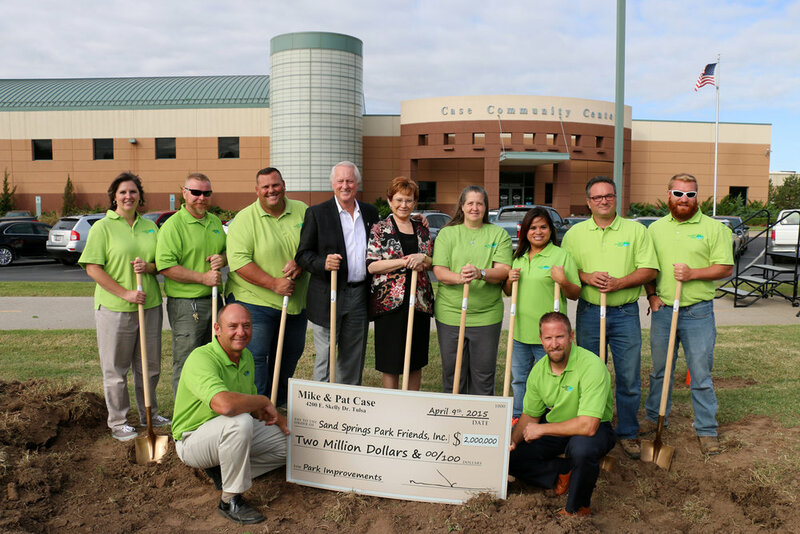 Ground breaking and celebration was held October 18th for Sand Springs newest park, Case Community Park. This $6.3 million project is the result of the Vision 2025 program and a wonderful community gift by Mike and Pat Case. 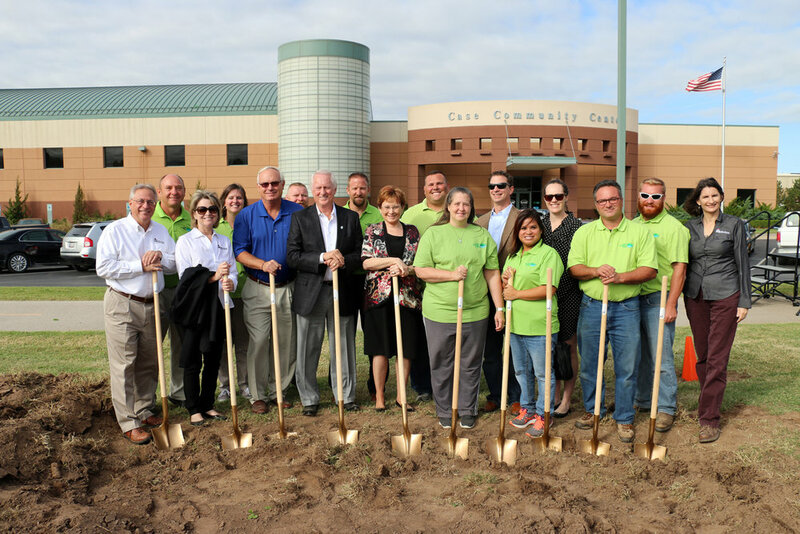 The park project will include a new front entry way, expanded and upgraded parking, new soccer field, two new baseball fields, two new large playground structures, a great lawn and stage area, upgraded restrooms, new disc golf, and horseshoe area. There will also be a new half court basketball area that the OKC NBA Thunder Team is going to THUNDERIZE, with goals and surface coatings. CMSWillowbrook is proud to be the construction manager for this outstanding facility. Thanks to the vision of the Sand Springs Parks Department led by Grant Gerondale (Director), Jeff Edwards and Joe Medlin, and the Architect firm Studio 45. This will be a great facility for the citizens of Sand Springs for many years to come.